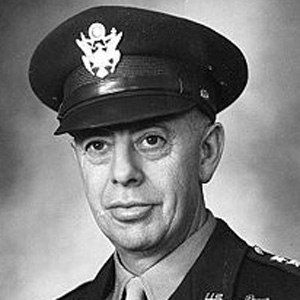 United States Army Air Forces general who led American air operations in the South Pacific from 1942 to 1945. He began his military career with the U.S. Signal Corps' Aviation section. He test-flew new airplane models and was involved in figuring out how to mount machine guns on aircraft. He grew up in Nova Scotia, Canada, and was the oldest of four children. He served under the command of Franklin D. Roosevelt in World War II.